Hey! We're so excited that you want to come fellowship with us. Pop your details into the little box on the side, and we'll reserve our best seats for you, and save you a carpark right out the front. We'll be praying for you in the lead up to our Sunday Service. We have people wearing all sorts of clothes at HopeDivine. You will see some in their "Sunday Best" and others in jeans & tee-shirts. If you wear something you consider "respectable", you'll feel comfortable. Am I gonna have to talk? We get it - the last thing you want is to be called out to "greet the church" or "stand up and say hello". Especially if you are new to the Pentecostal church experence; and especially so if you are new to church! So the first thing you can be assured of - we won't embarrass you! When you first arrive, you'll meet a member of our greeters team. They'll give you a warm hello, and introduce you to one of our ushers, who will then show you to a seat. Once we begin, what is going to happen? 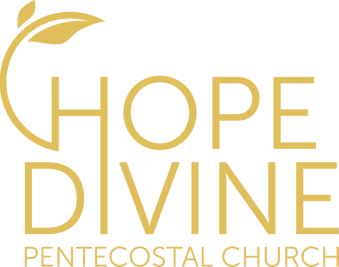 Did we mention that we're an Apostolic Pentecostal church? We start out with the worship service, and during the worship service, you'll hear people singing & clapping their hands, raising their hands in worship, and perhaps even dancing. We won't embarrass you by making you sing or dance or clap your hands - but at the same time, feel free to join in; worship & praise is for everyone! If you do get involved, you will feel the presence of God! Please send us your cheque, and we will pray for you. Sounds legit right? Don't worry, we won't be asking you to give money. We do have an opportunity to give during our worship service. After that, we'll have the preaching. We believe that the Bible is relevant for today; so our preaching reflects that. You'll find it dynamic and engaging, and relevant for what you're facing in life. Jesus was never meant to be left in a book on a shelf, He is alive and active in the church, and wants to have a relationship with you. During the preaching, you'll find people will get involved with "amens" and "hallelujahs" and clapping of hands. After the preaching, we usually have a time of prayer at the front of the church (usually referred to as "the altar"). The altar is a place where lives are changed, hearts are mended and new directions are set. It's a chance to respond to the preaching of the Word. Again, we don't want to embarrass you, so we won't make you come up the front and pray; but you are welcome to come pray at the altar with others if you like. We've reached the end; what happens now? We're usually finished up by around 12:30pm. If you need to leave right away, we understand. But we would love to have you stay for a few minutes afterwards, especially as Pastor Jason loves to say hi to our visitors in person. After service, we have tea and coffee available; one of our greeters team will come and ask you if you would like something to drink, give them your order, and they will arrange it for you. This is a great chance to connect with other people in the church as well. ... if you've filled out one of our guest connect cards, our follow up team will send you a letter in the mail, thanking you for coming along, and giving you some more information about the church, and how you can connect with us. We hope that you enjoyed being in the presence of God, and with his people, and we really hope we get to see you again! There is a place for your family with ours!